Once again police officers have been targeted and murdered. The Daily Mail offers coverage of the deadly shootings in Baton Rouge, Louisiana. Three police officers have been killed after at least six were shot by a masked gunman in Baton Rouge - less than two weeks after the killing of Alton Sterling in the same Louisiana city. The man, who was wearing black, was seen firing indiscriminately at around 9am as he walked out between a shop and a car wash, a witness told WBRZ. Police received a 911 call reporting a 'suspicious person walking down Airline Highway with an assault rifle', the source said. At least one gunman is said to have opened fire when cops arrived. 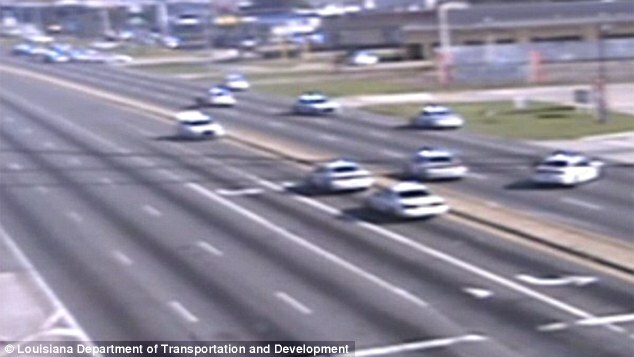 A suspect has been shot dead and police say two others may be at large following what appears to have been an ambush. Three officers have been confirmed dead. Four more have been injured and one is in a critical condition in hospital.